A concise introductory guide to the quality management systems (QMS) standard ISO 9001:2015. If you are new to ISO 9000 then this audio book is worth listening to. There’s a lot more on the certification process than the actual standard so the title might be thought of as a little misleading. A quick view for management to understand the organisation's commitment needed to become iso 9001 registered. 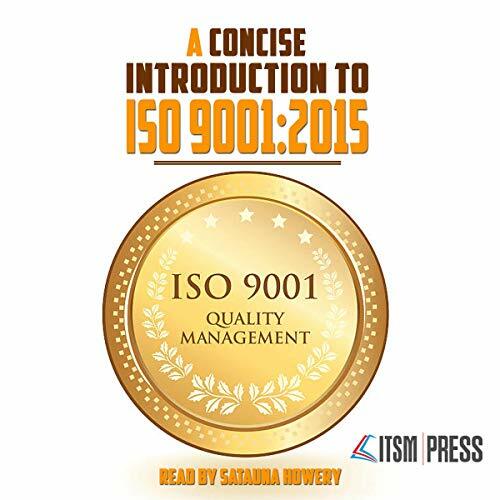 Pleasantly narrated, this audiobook gives a high-level overview of the ISO 9001 standard for quality management. Good info for those who are new to quality management!